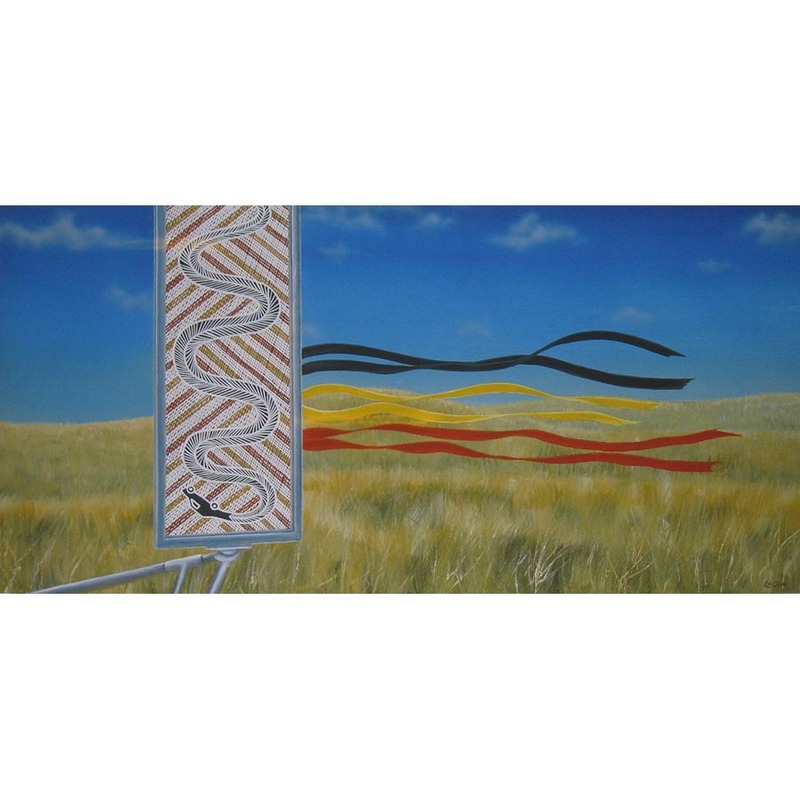 Lin Onus was born in Victoria in 1948 to a Scottish mother and an Aboriginal father Bill Onus. 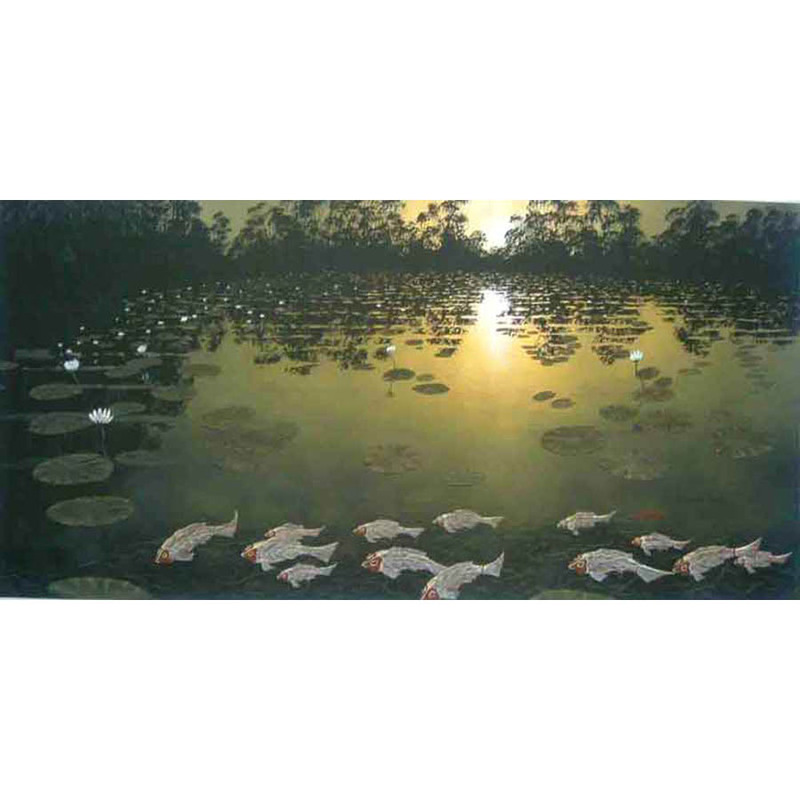 After working alongside his family making artefacts and souvenirs, Lin began painting in the early 1970s. 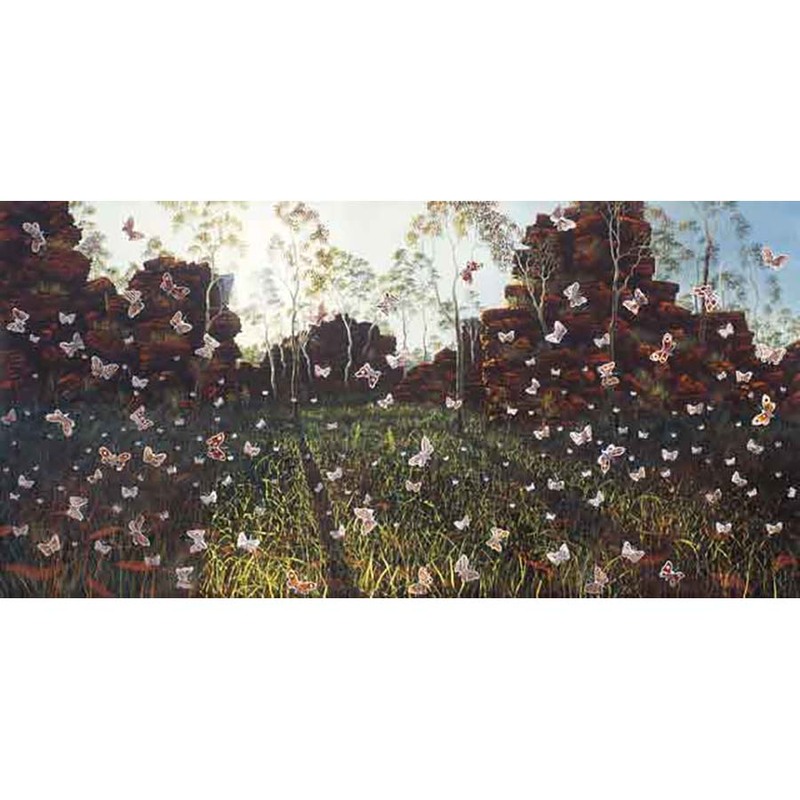 Largely self-taught, he evolved from these humble beginnings as a competent landscape painter with a complex story to tell, to being one of the most significant cultural statesman for Urban based Aboriginal artists in Australia. 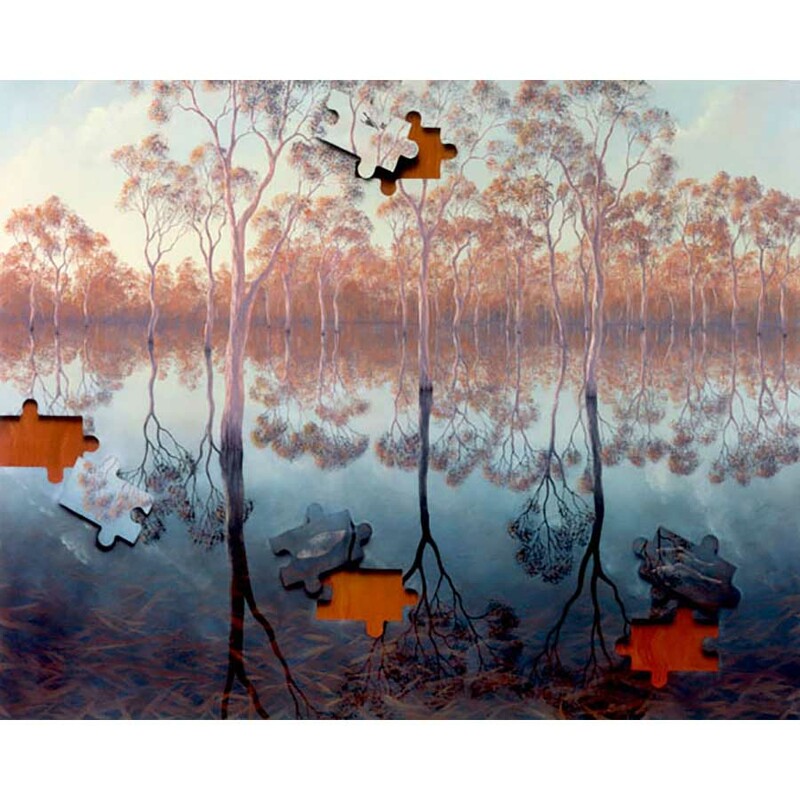 In 1986 he visited Arnhem Land, and the pursuing cultural exchange that look place provided an integral part to this visual repertoire, being the ability to paint “two ways’. 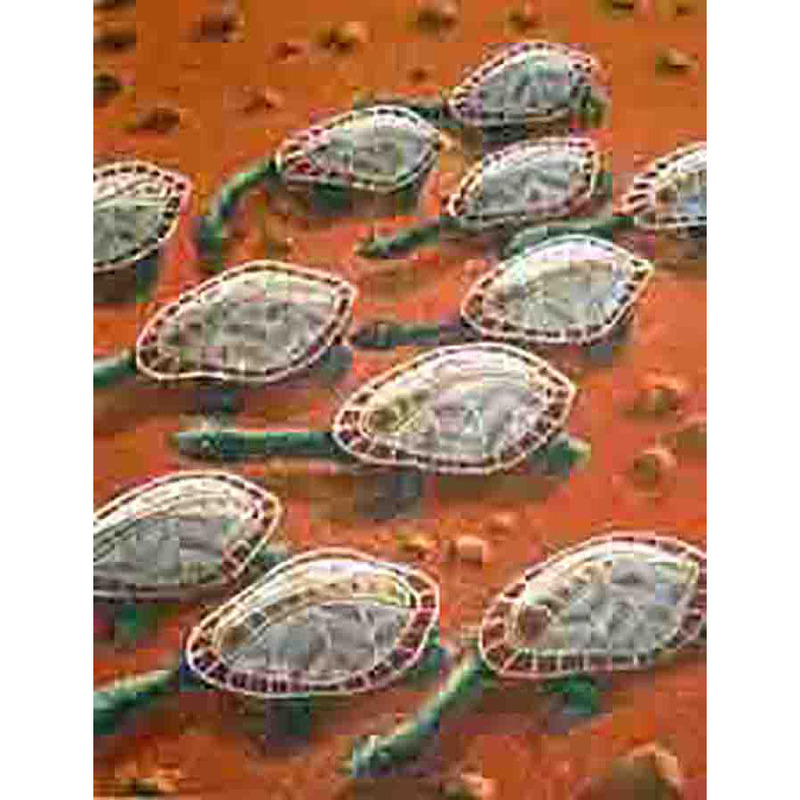 Under the guidance and authority of senior artists at Maningrida, Onus was able to combine the representational Australian landscape genre with specific “rark” or cross hatching designs passed onto him by traditional owners. In return, Lin offered much back with a lifetime commitment to being, “a bridge between cultures”, and developing opportunities for artists all over Australia. 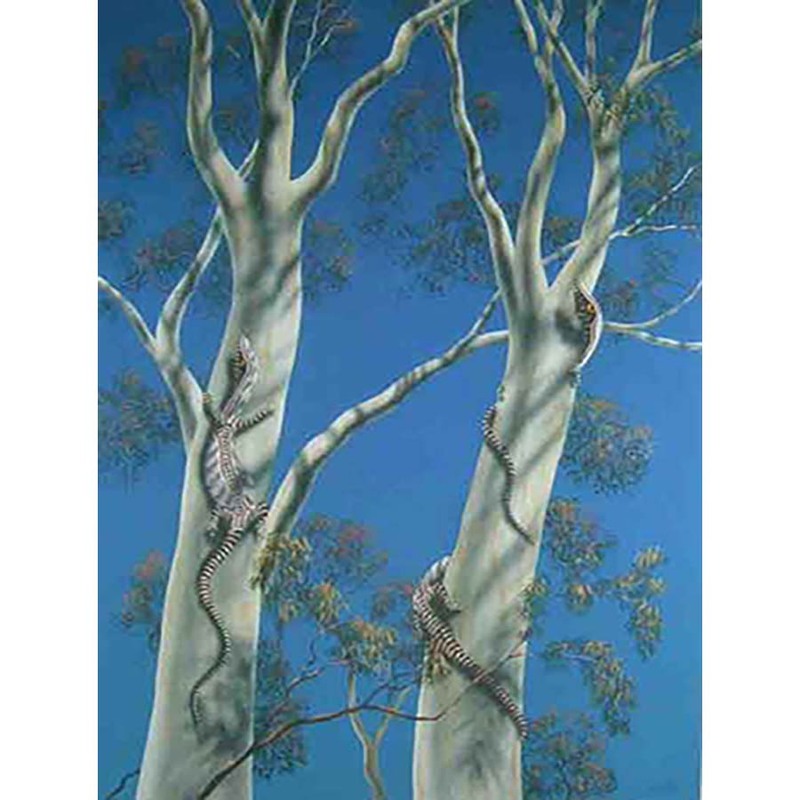 His paintings, sculptures, prints and installation works are represented in every State gallery and most major collections in Australia and many overseas as well. 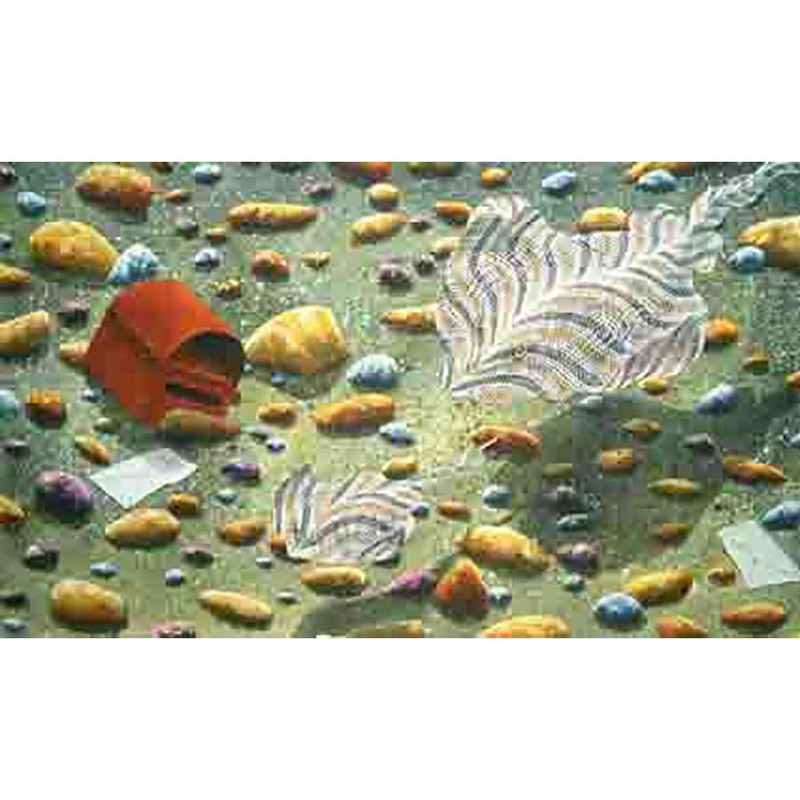 Lin had 18 solo exhibitions in Australia and over 40 group exhibitions in Australia, Asia, Europe and America. 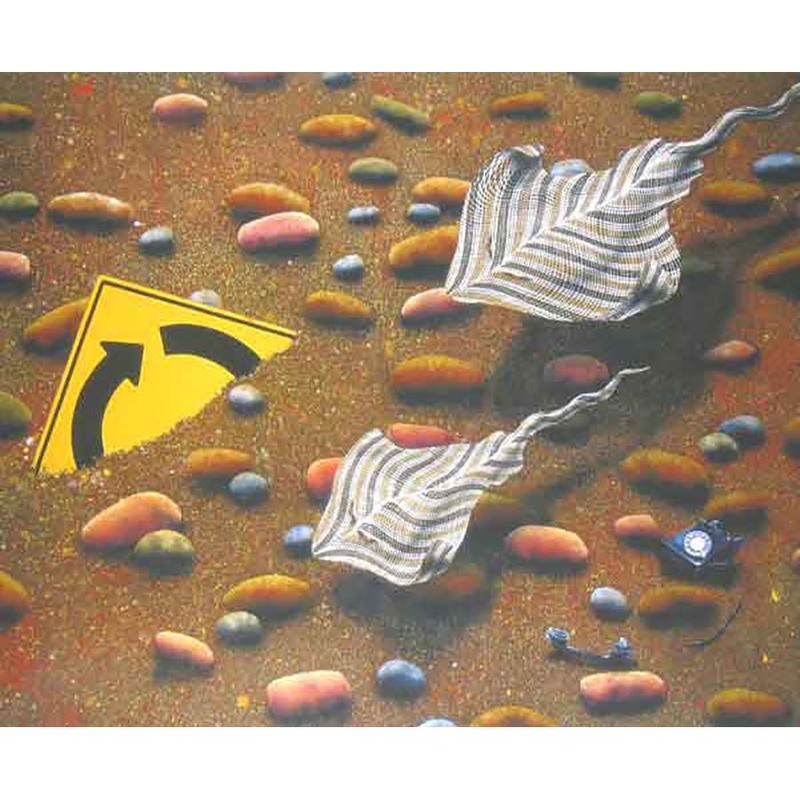 His stories often showing a quirky sense of humor amidst sensitive cultural insights have been central to the voice of contemporary Indigenous Australian and were included in numerous international art exhibitions in Glasgow, Kyoto, Tokyo, Finland and the much acclaimed Aratjarra “Art of the First Australians” touring Dusseldorf, London and Copenhagen 1993 - 94. Lin was appointed to the Australia Council as Chairman of the Aboriginal Artists Management Association which he co-founded in 1990 until 1993. In 1993 Onus was awarded an Order of Australia for his contribution as an arts practitioner and ambassador for Aboriginal artists. 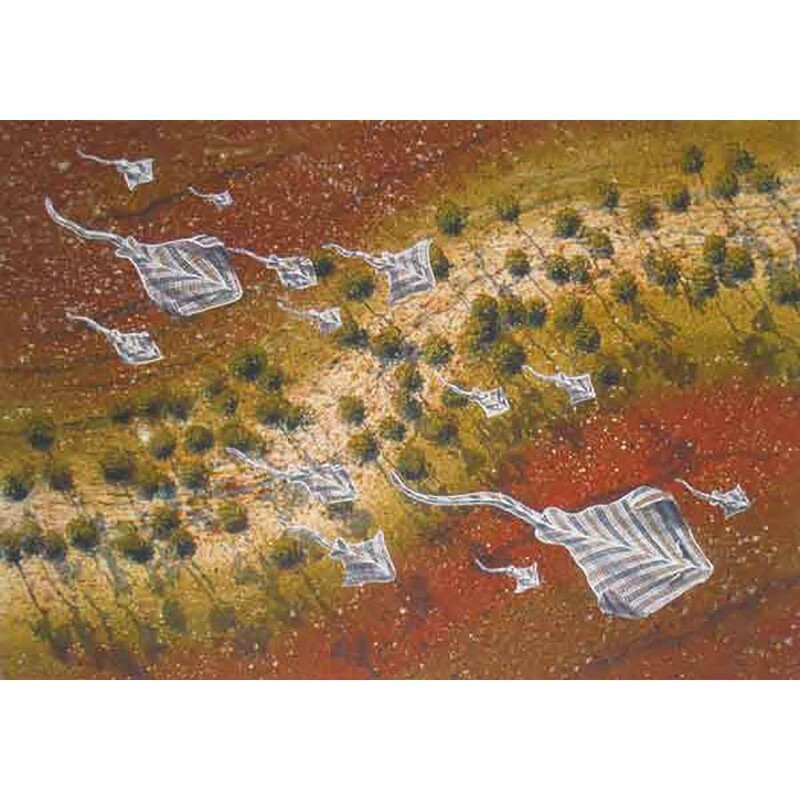 In 1994 Lin won the Australian Heritage Commission Aboriginal Art Award and the RAAKA Awards for his epic sculpture, “Taking the Children Away”. For Lin, art was a tool, a weapon and a shelter and his work spanned many dimensions and many audiences. For someone that carried so much responsibility on his shoulders there was no distinction between the political and the beautiful. His art reflects this.